C0005. 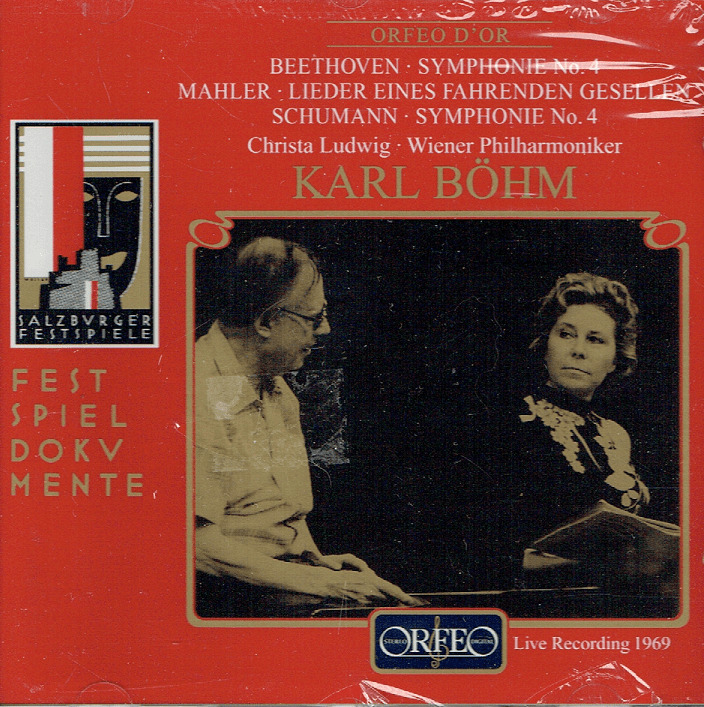 KARL BOHM Cond. Vienna Phil. 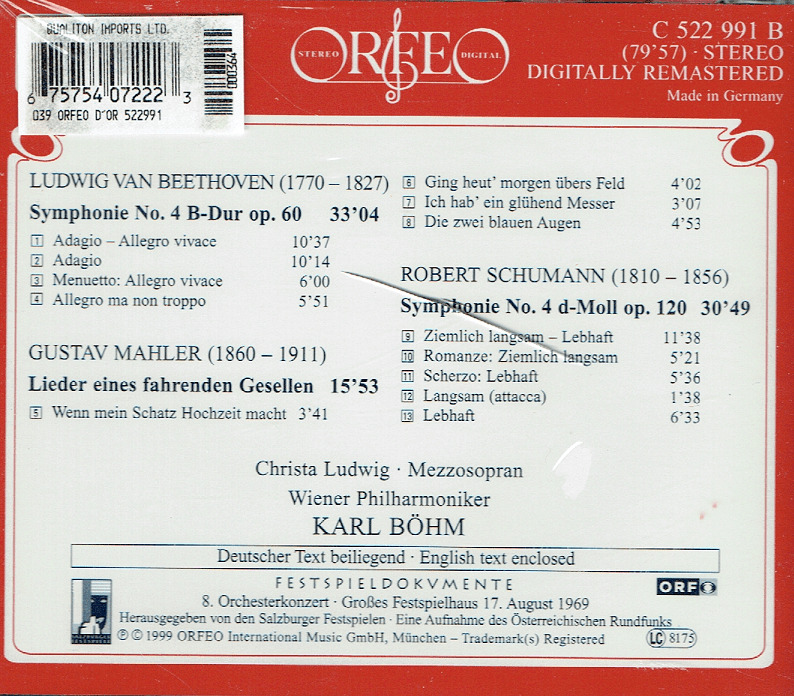 : Symphony #4 in B (Beethoven); Symphony #4 in d (Schumann); w.CHRISTA LUDWIG: Liedereines fahrenden gesellen (Mahler). 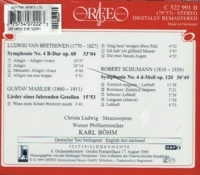 (Austria) Orfeo stereo C 522 991, Live Performance, 17 Aug., 1969, Salzburg Festival. Long out-of-print, Final Sealed Copy! “A Böhm Schumann performance was always a rare event. When John Hunt published his Böhm discography in 1992 (in Mid-Century Conductors) there were just two entries under Schumann: a 1942 Dresden recording of the Piano Concerto, with Walter Gieseking as soloist, and the wonderfully gaunt and imposing account of the Fourth Symphony which Bohm made with the Vienna Philharmonic for DG in November 1978. Reviewing the LP in these columns in November 1980, I noted: 'Dr Böhm, in his 86th year, does not so much defy time as marvellously order and propel it'. Alas, the performance has never appeared on CD. As one world-weary DG executive put it to me, with more than a touch of Schadenfreude, 'Karl Böhm died the day after his death’. Commercially, this may have been true, but my goodness how this 1969 Salzburg Schumann Fourth lives, moves, and continues to be.